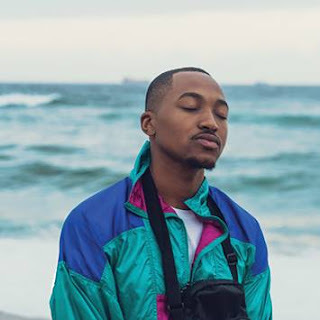 What happens when you mix African spirit with an absolute desire to take over the entire continent of Africa – you get Mi-Fone ! So what is and who is Mi-Fone ? 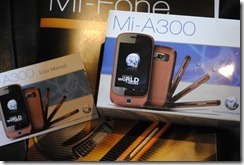 Mi-Fone was the brain child of Alpesh Patel launched in April 2008. Patel and his team have created a distribution of handsets specifically targeting the African continent – the mass market sectors within emerging territories. 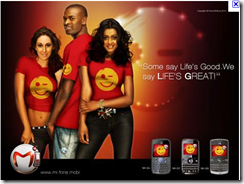 In 3 years the Mi-Fone team has made incredible headway by supplying into 15 African countries and India with a unique brand of high quality phones and has distributed over 1 million handsets resulting in generating over $15 million dollars in revenue. So what about the handset – surely they must be plastic and rubbish if they sell so cheaply ? That is what you would expect. Phones that retail at R1600 with touch screen and built in camera, radio, wifi & HSDPA/EDGE surely must compromise on something. Well not in this case. We have all seen grey imported no name brand Blueberry knock-off phones but make no mistake – these are nothing like those. I have been given the Mi-300 to evaluate so that I have some real world hands on experience with the device. When I first unboxed the unit I was very pleasantly surprised about the quality of everything – right down to the packaging. The handset comes protected in a proper box, with manuals, charger, cable and headset. 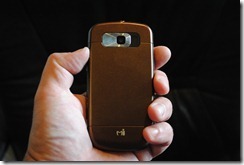 The handset is solid and feels like you are holding a real phone. 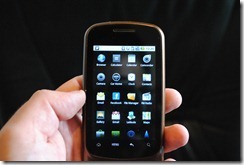 The phone runs Android 2.2 and so its instinctively easy to operate. The touch screen is smooth and instantly responds to any movement. Applications are easy to load and having access to the Android Marketplace means that any app you could want is at a touch of a button. I connected my device to my WiFi network – no problems there either. I surfed the web, pinched my way through Google searches, read the news, watch Youtube video clips and used the Google Maps – all flawlessly. You forget you are not using a “traditional” brand phone. The Radio requires you to use a headset (I wanted to play the music without one). If kept the “please insert a headset” error message even through I closed down the application. The calculator doesn’t have a % sign – how on earth do I work out a tip in restaurant now ? The camera make a terrible “hissing/ clicking” sound when you take a picture. The image manipulation is cool. You an pinch and zoom and set the images as wallpapers and assign the cropped image to a caller – nice. The phone’s weight and quality makes it feel like a real phone – not a toy or a compromised device. Dual sim – whilst my phone did not have the dual sim option, I do like having the option that I can put in one provider’s sim and use that for Data and then the other provider sim and use that for calls. I really do like this phone. I am not big on touch screens but this phone made it a pleasure to use. 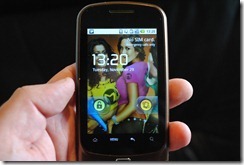 Mi-Fone is targeting a segment of the market that is usually left behind or left to have the phones no one else wants. Mi-Fone is changing that thinking and offering a great quality phone, at a great price with great operating system. Lets hope they make it into the South African market as this is a real game-changer. I don’t think this is an awesome phone for its price. I think this is an awesome phone FULL STOP. As Tomi Ahonen said : There is no reason why the next revolutionary invention cannot come from Africa – I say watch this space – I am sure we will be hearing more and more from Mi-Fone!